This is the most popular national park in Africa, with lots of predators and animal migrations. Roads and tracks here have caused scarring. Water is channeled down scars and gullies from this which can increase erosion rates. Vehicles have had an impact on the landscape, and can impair animals’ survival chances. Vehicles produce noise pollution which disturbs wildlife. Tourists need places to stay, eat and sleep so buildings have to be built, and should be built with very careful designs to cause minimal disturbance and be as environmentally friendly as possible. Rubbish disposal can be an issue in parks. Tourism is Kenya’s largest “export”; adventure tourists have come since the 1800’s. Game reserves pushed out local people when they were established. In a single day 200 vehicles can bring 700 tourists to a reserve. Vehicle tracks were built and traffic increases to see rarer animals such as leopards (25 vehicles can arrive to see a single leopard). It is dangerous to go close to a leopard, which they do for shots. It is forbidden to go off the roads in the game reserves; doing so can spoil roadside vegetation. Authorities who find someone doing this can fine them on the spot, but the park drivers will do this anyway for visitors. A vehicle getting stuck in the mud roadside also increases erosion. Some lodges, such as Leawa, have been built on game reserves for richer tourists; these are very luxurious and expensive; their money pays for the wildlife sanctuary. The game wardens are like an army, armed with firearms. 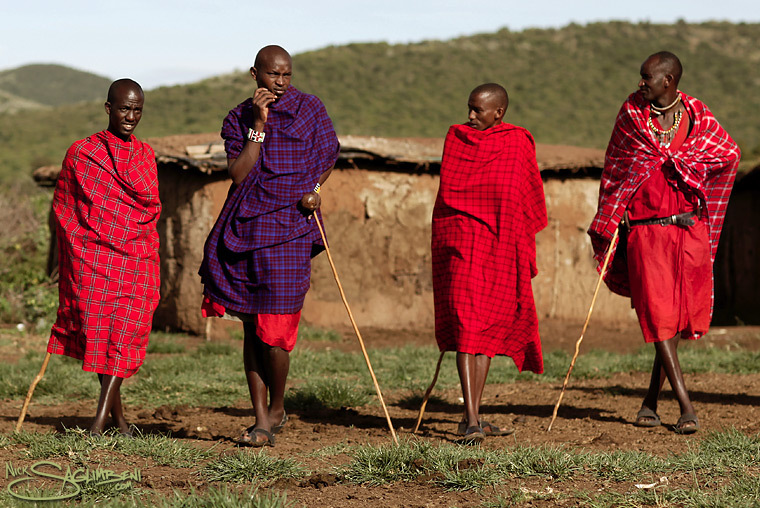 The Masai previously lived on the land cleared for the Game Reserve. 400,000 Masai Mara were pushed out to make way for tourists by the government. The Masai trinket sales people are very aggressive. They were once a proud warrior tribe but drought and lost land has made them rely on food aid and selling trinkets. They have had to sell their culture for tourist money. A welcoming committee comes to ask tourists for money; they have a fake village and fake traditional dances for tourists. They also sell illegal lion teeth and claws, which airport security doesn’t check for. An hour away from the game parks is a real village. Someone entering the village should greet the women and touch the children’s heads when entering the homes as a sign of respect.They gain teeth and claws from predators in real battles, using spears to defend their town. Deprived of their homelands, they were pushed onto barren land. The Masai think it is a blessing to have tourists come to help their issues. They have to make trinkets for tourists who are hours away for little money. Their huts are made from cow dung which leads to swarms of flies nearby. They have no furniture. Fires are inside homes for heating and bedding is made of cow hide. 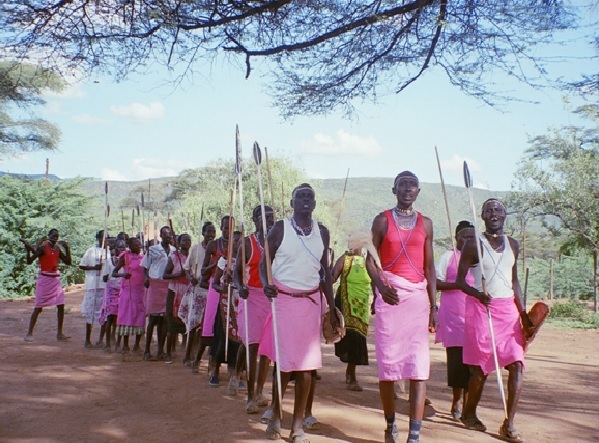 The Masai were promised that they would share profits from tourism by the government in exchange for their land, but they have not. The Endorois were also pushed off of their land to the North of the Masai Mara. The land is used for tourism too. They were told they had 24 hours and if they didn’t leave, their stuff would be destroyed. They were lied to in a similar manner about payment for their lands. They were forced to live on semi-arid land and mostly live on food aid. The Endorois have been evicted from their homelands nigh systematically for many years. Houses were built from sheet metal which means that the rooms inside were uncomfortably hot. Water was kms away from the homes. From December to May there is no water in the river. Some mothers were too poor to look after their children. The African Union has said that the Kenyan government has to compensate them. A Canadian Lawyer has been helping them to reclaim their lands, and a large celebration occurred when she managed to regain them one of their lakes. The Endorois thanked her by claiming her as one of them. In 1899 a railway was built between Mombasa, on the coast, and Lake Victoria in Kenya, reaching a river which the Massai called enairobi. The surrounding land was swampy, uninhabited and infested with malaria. Despite these seemingly unfavourable conditions, a railway station was built and, less than a century later, the settlement at Nairobi had grown to 1.5 million people. 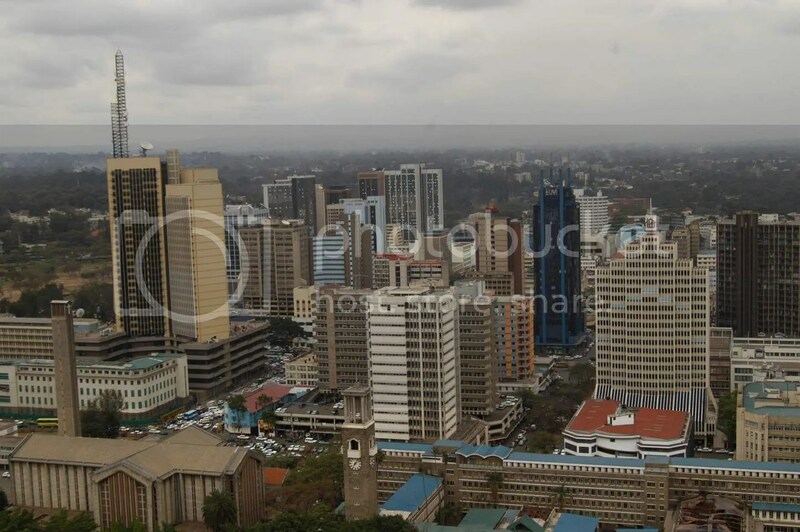 The current functional zones reflect Nairobi’s legacy. Immediately North West of the CBD are several large areas of open space. This includes several parks, a sports ground and a golf course. The Nairobi National Park is in the South and the Karura forest is in the North. The main industries are formal engineering, chemicals, clothing and food processing. A modern industrial area extends along the airport road and contains many TNCs. The industrial zone grew up bordering the railway line. Wealthy European colonists and later Asian immigrants lived in the ridges of the higher land to the North and West above the malarial swamps. The Westlands forms a secondary core. Many large properties have security guards. The middle-income houses to the South are mostly occupied by those locals in full time employ. Shanty settlements have grown up away from the CBD on otherwise unused land, which means, in Nairobi, along the Ngong river and Mathare river. The largest are along the Mathare and Kibera; it’s estimated 100,000 people live in each. Low income residential borders the shanty settlements; much of it is former shanty settlements to which the council ha added water, sewers and an electricity supply. Self help housing is found in the North East of the city. The council provides basic amenities and cheap building materials. In Dandora, which has 120,000 residents, relatively wealthy people bought plots of land and build houses around courtyards. A tap and toilet is installed in each courtyard and the wealthy owners can sell or rent the unneeded properties.